Stu: This week we welcome Alexx Stuart to the show. Alexx is an author, educator, activist and change agent who runs online courses and hosts a podcast for those wanting to reduce their toxic load in everyday life. 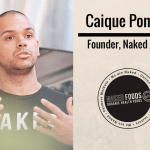 She’s at the forefront of a movement that’s non-judgmental, gentle on the body and skin, and tough on the companies selling produces masquerading as food or safe cleaning products. A columnist for Wellbeing magazine, she also a sought-after speaker and consultant to businesses committing to change for good. In this episode we discuss the principles of following a low tox lifestyle and focus on the areas that could be unknowingly impacting our health, enjoy. Want to learn how to navigate making the best choices for you and your planet? 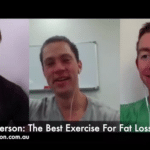 Go Low Tox online course launches on 18th February and is live coached by Alexx through 20+ topics and over 30 interviews. Full details here. What is low tox living and why is it important? Where should we start if we want to embrace this way of living? What ‘low hanging fruit’ could we address where our health is concerned? 00:03 Hey, this is Stu from 180 Nutrition and welcome to another episode of The Health Sessions. 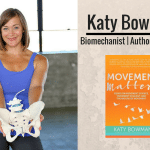 00:08 It’s here that we connect with the world’s best experts in health, wellness, and human performance in an attempt to cut through the confusion around what it actually takes to achieve a long lasting health. Now I’m sure that’s something that we all strive to have. I certainly do. Before we get into the show today, you might not know that we make products too. That’s right. We’re into whole food nutrition and have a range of super foods and natural supplements to help support your day. If you are curious what I find out more, just jump over to our website. 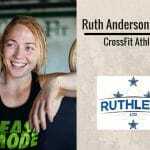 That is 180nutrition.com.au and take a look. Okay. Back to the show. 00:44 This week, I’m excited to welcome Alexx Stuart. 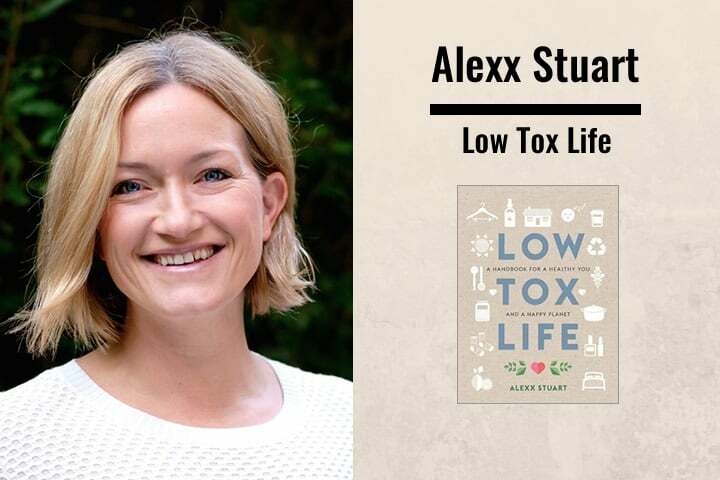 Alexx is an educator, activist and change agent who runs online courses and host a podcast for those wanting to reduce their toxic load in everyday life, Alexx calls this low tox living. In this episode we discuss the principles of following a low tox lifestyle and focus on the areas that could be unknowingly impacting our health. Over to Alexx. 01:12 Hey guys, this is Stu from 180 Nutrition and I am delighted to welcome Alexx Stuart back onto the podcast. Alexx, how are you? 01:20 I am so great. Thanks, Stu. It’s so great to be here with you. Sorry for the mood lighting I’ve got happening on my side. I’ve retreated to my parents. There’s construction everywhere around our place at the moment. So, I figured quiet and moody was better than noisy and bright, right? 01:38 It looks super comfortable behind you. 01:42 Excellent. So before we get into the questions today, for any of our listeners that might not be familiar with your work, could you just tell us a little bit about yourself please? 01:51 Yeah, for sure. So I’m an author of a book that came out last year, The Tox Life. But the story goes way, way, way back into the past. And the whole reason I ended up in health education, even though I had a successful career in hospitality and prior to that in cosmetics in the beauty industry, was through a series of events that I like to call waves of realization, if you like. The first one being a retrospective realization that when I left cosmetics I also left the world of migraines and I was like, “Oh.” I didn’t really know to dig as to what was in the industry that might be causing those migraines. But I literally stopped getting migraines once I left the beauty industry. So I knew there was something there. 02:40 Then I had this recurrent tonsillitis situation, and so many people will hear this and go, “Yeah, I’ve been on that merry-go-round” where you go to the doctor because you feel unwell, get the drugs, you take the drugs, you feel better, you feel better for a couple of months, then you feel crap. Then you go to the doctor, then you get drugs and with antibiotics, as some people may or may not know, antibiotic resistance starts to creep in. So you get put on stronger and stronger and stronger ones and of course you’re killing more and more and more good gut bugs at the same time. 03:11 And I found myself in a situation where antibiotics didn’t work and this was really my wake up call to stop doing the same thing over and over again and expect a different result. It just wasn’t making me better. And I was a thriving 28-year-old in every other area of my life. And I was like, “I can’t go on like this. This is ridiculous.” And so a friend said, ‘I know it might be a bit crazy, but why don’t you go see a naturopath?” Which, 15 years ago was a bit of a cuckoo thing to do. even though now, thank gosh, there’s one on every street corner helping us build stronger bodies. But back then it was a bit weird and I went and she put me on some revolting tasting herbs that have since come to love the taste of, and a really simple and strict three day, if you have to eat something, just have some really well cooked brown rice, chicken stock and carrots and that’s it. I just don’t want you doing anything too complicated for your system. 04:05 And I got better in three days. I sweated it all out and it was really quite astounding to me that some herbs from plants could actually ship tonsillitis. She suggested I quit gluten containing foods as a longer term strategy to stop it from reoccurring because she had read in the research that was starting to come out that there was a strong link between [inaudible 00:04:32] bugs and a gluten, in terms of gluten feeding them and then causing proliferation, et cetera. 04:42 So I was desperate. I gave it a go even though as a half Frenchie that was probably the worst news I could have ever received. [foreign language 00:04:49] all the good things. But it worked. And the really interesting thing in that time was it got me looking at food labels for the first time in my life. I actually had to look at the ingredients because a few months off gluten and then you’d accidentally have it in a restaurant or something. I really noticed a huge issue with it, but it’s kind of like the cows getting grain fed from the late ’60s and onward and then realizing you got to give them a tiny bit and then a tiny bit more and then a tiny … You never realize you’re not meant to feel average. 05:28 And so I had started to feel great and then boom. And so I really knew these things were hurting me and I had gluten in every meal. They would have been in my pre 28-year-old self. every single meal, there would have been some form of gluten. And so it was really interesting to see how it was in products that were causing, as they were called health products, breakfast shakes and those sorts of high protein this and low fat that. 05:54 It really started me questioning food companies and questioning our whole system that allows us to trust that they’re doing the right thing by us. And they’re really, really not, and our government just lets it happen and this is happening all over the world. So, I had been a bit of an activist in my teen years, joined Greenpeace first day of uni. I was that chick. I kind of put it all to bed, you get the good career, the boyfriend, you start on your little societal checklist. I was raised quite conservatively. 06:58 And I was horrified to learn that about 90% of what was in there was petroleum derived. That really then sent me on the journey of learning what these chemicals were, I discovered endocrine disrupting chemical families. I discovered the word fragrance and how that can have up to 140 different chemical compounds inside it’s secret little word recipe thing there. And again, my sense of justice around the secrecy and the lack of longterm research done before things are brought out to market. 07:32 Really just, for me, those two things happening in a bit of a wave and a few little things in between made me think I need to focus my skills on education, empowerment, and motivation and nerdiness. I always liked a bit of a nerd factor. 07:48 I feel like we can really understand things quite deeply to turn them into a strong enough why to sustain change. And, I just had to start writing. So, I guess the words low tox came to me after much, much searching, not so much on the Internet, even though once I finally came up with that phrase, I made sure it didn’t exist yet. But really soul searching to see what kind of words felt too harsh. We are in the age, the century of the guru. If we can productize something enough, we can slap a guru’s face on it, if we can make it black and white enough that we literally, if we do anything else other than this perfect thing, we’re screwed. And then people stand to make a lot of money. 08:37 That really never seemed to gel with me. I have absolutely no issue with good people making good money. They tend to do more good things. But, it was more the sense that we were striving for perfectionist ideals that didn’t exist or didn’t apply to everybody necessarily. And we see that in the food debates ongoing. 10:08 So it’s been such an amazing privilege to find something that really resonates with me in the longterm to help people and make a better world a little bit from my corner. 10:18 Fantastic. Well, look, I love the term low tox and for me it prompts curiosity. I think curiosity is the best thing that we’ve got right now, especially in the age of the Internet that will allow us to really dig deep and connect with pioneers in the field as well in terms of podcasting and research papers and things like that. And as you said, once you start digging you realize that it’s a really deep hole and there are so many facets to the term low tox and low tox living and wanting to know where to start. Confused where to start. What aspects then of low tox living have had the biggest impact on your health, personally? 10:58 It’s an interesting one. I think food did have a massive impact. Just realizing that there were certain foods that didn’t work for me as a longterm strategy. Primarily those grains that contain gluten, but also certain legumes, they just don’t work for me, no matter how I try to do it, it just doesn’t work. And that tends to the red kidney beans and the chickpeas. Fine with lentils, Adzuki beans. 11:26 And this is really, for me, one of the key, key parts of this journey is empowering ourselves to a point where we’re listening to ourselves and growing our self-awareness instead of guru mentality, of following someone and finding the answers out there. And so really food was huge, but it’s one of the most complicated ones because unless you really work on that self awareness piece, you can get very confused. 11:51 And then, the second one was synthetic fragrances. That really was a huge game changer. I just like anyone else would have had scented candles and I’ve been so excited when someone got me a yummy smelling body lotion at Christmas or I used to sell $400 fake scented face creams, proudly might I add. So don’t let anybody tell you, that those people on the Internet are perfect people and we’ve always known the way. Everybody has a past and we’re all learning and doing the best from what we currently know to move into the future. 12:28 But yes, in vedic fragrances were huge and I think, if you want me to step through some of the places people might find those, I think it’s a really interesting category because it deals with so much stuff. So while it might seem like really like, “Whoa, but hold on, everything’s got a fake smell.” At the same time, you can feel comforted by the fact that you are working on the biggest thing with the biggest return on your time and investment first, which I always love. 12:55 That’s why we start our low tox course with synthetic fragrance overhaul. 12:59 Oh, is that right? That’s where you start? 14:07 Because it makes life so great. 14:19 Or just open a window. That’s my favorite little fresh air tip. 14:24 So starting then. So we want to embrace this. So we’re curious and maybe we’ve got a few health concerns. Maybe we’re okay. Maybe we feel okay, but we want to optimize our health. I’m always of the mindset of prevention is the cure. So whatever we’re doing now may escalate over the years, 10 years, 20 years and transpired to be something quite nasty in the future. So if I wanted to set the framework then for a healthy life and I want to embrace low tox living, where on earth would I start? 15:00 So I really think food is a great place to start because this is what is literally going inside our bodies to make our body as the machine that it is. And if we’re not getting that right, then everything else is a little bit more superficial. Obviously the reason I put the quality of the air and synthetic fragrances or molds, which we can talk about later, as number two is because our lungs also are an internal space that these things go into. So whatever’s going into us is our primary concern because at least if it’s going on us, there’s a skin defense, there’s a little bit of extra defense and a lot of the molecules don’t make it in. 15:43 So really our top priority is what gets inside us, either via or lungs or digestive tract. And if you’re really struggling with food, especially if you’re listening here with us today, you’re someone who takes in a lot of information online, potentially. And I don’t know about you, Stu, if you’ve listened to some of the debates that go on out there, a lot of people can end up feeling less empowered at the end of a one hour podcast or eCourse or summit than they did at the start because they just feel further confused. 16:16 Should we all go vegan? Do we need to be keto? What on earth is the answer, right? I think the answer really is move from packets to produce. And this is why I love your range of protein products because it’s food. You read the ingredients, yes, it comes in a packet, so there’s a bit of a technicality, but when I say move from products to produce, you really want to start looking at consuming things that you 100% understand what they are as you read through ingredients that they might be made of or that you can see that they were grown in a farm or fished from a sustainable source you can really trace. 17:00 Once you head into the closed doors of a factory with terms that you don’t understand on an ingredient list, it gets really hard, and food shouldn’t be hard, so really start thinking super simply, start completely uncomplicated things, and start listening to your body when it comes to food. So, go from products to produce, and within that realm, try for as much organic food as you possibly can by getting creative with Co-ops if you need to look at the budget, or even just starting with the top three high volume produce items that you guys eat. So, maybe you guys love chicken and apples and you’re big on the breakfast oats or whatever, so start with those three things and turn those to organic: an amazing thing to do. 17:50 And another thing is pesticide free, for example, that’s fine too. If you start doing some digging, you guys use pesticide free almonds: these little things are really, really wonderful when you have brands and farmers that are happy to open the doors and share with you everything that they do to produce that food for you to consume. So, once you’ve worked on your food a bit, and I think only you can know what sits right for you on the plant versus animal thing. Personally, I eat mainly plant based, but I’m a huge champion for regeneratively farmed ethical meat products as well. I think in terms of carbon sequestration, it’s incredibly powerful to farm animals to help us regenerate our soils that are so desperately hurting. So, that’s where I’ve arrived, and it really is important for everybody to arrive where they arrive and feel free to arrive there, but do arrive so with some good research, not just some headlines from the internet. I think it’s really important that we feel like we can then have a good conversation and debate around our choices rather than blanket statements with absolutely nothing to back things up. We are so hype driven that we don’t analyze enough, and I think that’s important. 19:08 So, once you’ve worked on your food, I think that synthetic fragrance one is my next one. And for me, my favorite thing to get people to do is to get a big box, cause you’ll need a big box for most households, and put in the washing powder, the fabric softener is a big one because that’s literally churning super concentrated synthetic fragrance into your indoor air space, scented reeds, plugin fresheners, the old can of Air Wick sitting on the toilet all of the things: the scented candles just get them all into a box, shampoo conditioner, and put them in the garage for two weeks. So, I’m not gonna be some crazy person on the internet telling you to throw everything out now, but do these to do your own experiment so you come to your own realization, again, let’s step away from guru mentality. And then after two weeks … so just buy your bare minimum: buy a fragrance free like, Aware is a great washing powder or [EcoStore 00:20:05] from the supermarket, get a couple of fragrance free shampoos, and just don’t burn candles or use air fresheners for a couple of weeks, and literally just live simply without fragrance for a couple of weeks. Then bring the box back in, install everything back where it normally goes and use it all over the next couple of days as you normally would have, and just take note: that’s all I’m gonna say. 20:32 What might we expect then if suddenly we go from living quite cleanly and then just bombarding our senses and our bodies with fragrances? 20:43 For me personally, I was literally winded when I walked into my mom’s place after I had done all my clean out and she used to … I mean, she’s gone completely low tox as well now she’s amazing, but I remember walking in and she was using a Cuddly, or one of those fabric softeners, and the drier was running when I came to visit her that day and I was like, literally just couldn’t breathe. 21:10 Some students, we’ve had over 3,000 people do the Go Low Tox Course now, have noted instant migraine or perpetual non-stop sneezing, or just a bit of a dull headache, or even achy joints. But I can tell you it is a powerful realization whichever way you realize it: it really is quite profound. And it’s not until we remove some of these environmental toxins, and then experience them somewhere else, or bring that box back to just finish our experiment that we realize, “Whoa, I was literally living in this 24/7.” And I’ve had people private message me since the book come out, or from doing the course, who undertake that kind of an experiment and then they ditch the synthetic fragrances permanently, and all of a sudden people are falling pregnant, people literally are losing a lifelong relationship with migraines or headaches. It’s really amazing, and as you said, some people are fine and they just improve a little bit, but if you’re fine and you’re 26 and you don’t even know you do have a fertility problem yet, now is the time to ditch these stuff because I’ve seen it too many times: hundreds of people who go and do every possible form of intervention for fertility, literally work on the environmental toxin piece and start to be able to have babies: It’s amazing. It’s not everybody’s solve, it’s not everybody’s solution, but it is for many, so why not give it a go? 22:45 If then we’re thinking about personal hygiene products because, I mean, you would know far better than me that there is a magic number isn’t there? Where, I think, it’s the typical female has covered her self in X number of toxins or chemicals before she leaves the front door every morning, and it’s just crazy with the moisturizer and the toothpastes and shower gels and everything over and above. If we wanted to clean up our personal hygiene products, what are the biggest offenders? And then I’m thinking parabens, sodium lauryl sulfate things like that, fragrances like you mentioned, what should we look out for when we’re shopping for alternatives? 23:49 … and you have a search bar at the top. So, as you’re starting to get to know things, it’s a really useful tool to start familiarizing yourself with different chemicals. It’s not perfect, for example, bendel alcohol used in a responsible way by a great natural brand, I’m thinking say, for example, [Weleda 00:24:09] theirs is a compound in the essential oil: it’s not the carcinogenic petroleum form. So, while it’s not an exact App, there’s always room for gray area. So, if you really love a brand and you think everything else about them is natural, it’s always worth popping them an email and just saying, ” Can I just check where this particular ingredient comes from?” Make sure it’s not the petroleum based one. And so, you may have to do that along your way, but it’s a great App for just helping you get your head around things. 24:42 But, my favorite chemicals to look at because not all chemicals are bad: you get bicarb soda written as a number on the back of a biscuit that is otherwise completely perfect, I mean, “Oh, no. I don’t eat numbers.” But sometimes it’s okay, so we don’t need to be chemical fobs because if you drink water this morning then you … We are made up of chemicals: a chemical free is a term I really don’t like, but parabens, absolutely because they’re an endocrine disruptive chemical, we don’t want anything to fiddle with our hormones: they had enough to balance on a good day, so that’s a great one to remove. The word fragrance and parfum when there isn’t an asterix denoting that it comes from natural essential oil or [phthalate 00:25:31] free fragrance, so you definitely want to be wary of the words parfum or fragrance because that can usually mean something’s hiding. And really then just start to think like, when you smell something and it says like, “Fresh green apple fragrance.” How do they make a green apple smell like that? Because when I bite into one it does not smell like. 25:54 And so, you just have to raise a bit of awareness for yourself, and laugh rather than cry when you start to realize that the Vanilla Creme Brulee Candle you used to use had absolutely no relation to actual Vanilla and Creme Brulee. Much better to go eat one on your birthday and enjoy. But, yeah so phthalates which hide under the word fragrance, parabens which we’ve talked about. Another one, you mentioned actually, sodium laurel sulfate and sodium laureth sulfate. Laureth is the one that is contaminated with 1,4-dioxane and more likely to be a big problem in the carcinogenic activity. But sodium Laurel sulfate is a big problem for contact dermatitis and eczema. So, you really don’t want either in any of your personal care, but sodium Laurel sulfate in a say, a clothes washing powder and optical brightener that’s nature based in every other way, and it’s derived from sustainable palm or coconut is absolutely fine: You just don’t want it in your hand wash, your shampoo, your body products and those sorts of things. Sodium laureth sulfate, you never want in anything. 27:11 [inaudible 00:27:11] it’s that “Eth,” and you’ll see it. You’ll start to see pareth: The E. T. H. is an additional chemical process that’s been done often to make something work better because that’s always an interesting psychological thing where you have to go, “Oh, I’ve been told that that looks like perfection, so that’s what I need.” And I don’t think it’s perfect if it’s carcinogenic: I think we’ve gotta rethink what perfect looks like when we pull a glass out of a dishwasher or a white shirt that really shouldn’t naturally be able to stay white for two years. [inaudible 00:27:47] a little bit. 28:12 Yes, I’m so glad you said that. People freak themselves out thinking they need to know … they still stuck in a buyer’s mentality, and a materialistic, and a consumerist mentality. I’ve used the same stuff by and large for the last five years. 28:28 I did some searching and I found some brands that I really liked and then I’m done. I don’t need to try every single new thing that comes out. We get sent quite a few things, and we split them up between the team to try them so that we can add to our course resources for new students and things, but me personally as a consumer I buy the same stuff over and over again. I Just like to keep things simple. 28:49 And it decreases decision fatigue as well. 28:53 Exactly. Yes, exactly. Why do we need to know about the new shampoo that’s come out that’s low tox if we love the shampoo we’re using? Just keep using it. 29:01 Exactly right. No, that’s great. So, let’s talk about lab tests. Do, you advocate personal lab tests as getting a set point to understand our bodies a little better? And I’m talking about things like heavy metal testing for hair, would you go there? 29:25 I would, if it felt like I needed to. If you are not feeling optimal, then there’s nothing wrong with gentle curiosity, and just making sure everything’s ticking along okay, and if it’s not then you find something: you can work on something. 29:41 And I just think we need to also responsibly mention, and I think of Dr. Joe Dispenza work on this: Your Personality Becomes Your Personal Reality, and I think we need to also make sure that we’re not always trying to find things that are wrong with us because that breeds a whole … personality then can become a personal reality, and we see that over and over again. And so, I think it’s important that if there’s something wrong and you’ve done all the lifestyle ticks, and you just haven’t been able to shift something, then yes, a heavy metals test can be extremely useful, especially if you’ve ever lived somewhere hyper urban or under a flight path or in an area that maybe used to be industrial or like, I’m thinking Alexandria where all the apartments went up over all the old factories, and things like that, then maybe you need to shift some metals absolutely, it can be very useful, or if you have ongoing hormone issues, something like the Dutch Test, which is the most comprehensive hormone test I’ve ever seen, or an organic acid test, which can be really useful to see, and both of those are pee tests, so they’re really non-invasive: you’re literally sending your pee off to America, and get some really interesting information. 31:03 But please don’t try and interpret it on your own on the internet, really get someone who really knows their stuff. If you’re gonna get that kind of comprehensive testing, you wanna work with a practitioner who can actually help you make the most of that investment, and really use it as a tool instead of just going … this biohacking phenomenon of feeling like we all need to get the latest, greatest tests and equipment to become perfect humans. I just always caution against keeping light. If you’re getting a test that’s really deep and valuable then go deep with it otherwise it’s pointless to get it, but you can look at your phthalate levels for example, which is a really interesting thing to do through an organic acid test. 31:50 That is excellent news. And, I wanted to, I mean, I don’t know whether you talk about that at all in your book, but I wanted just to talk about the book now because I saw that … Well, from my perception, it looks like it’s going gangbusters: I’ve seen you all over social media, all over the world. 32:09 It’s crazy, yeah. So good. 32:10 Looks beautiful. Tell us about it. What can we expect? 32:14 I don’t even have a copy of it because I rushed off to my mum’s house to record in quiet, but what can you expect? Okay, you can expect to feel really good about yourself when you read the first two pages because I outline myself as a 26 year old in the first couple of pages. And, I do that not for self denigration or shaming purposes, but really to just say no one’s perfect and the sooner we stop pretending to try and be so the more we can actually evolve and expand as humans, and really thrive, and I’m happy to take one for the team and show you what life is like for the average person out there ’cause I was the average person: very convenience driven, very low education when it comes to what I put on and in myself, and so, we start there. 34:00 Any different motivations and it’s important to spend time working out what your motivation is. So I help people do that in the very start of the book, and then we go into the chapters. We have the food, body, home and mind chapters. I’m pretty sure that’s not the right order. It’s body, home, food and mind. In there you have your top things to switch out or avoid, or what we’re switching to and then for the people who love a bit of DIY and Zero waste, low waste living, a few recipes as well. Things like dry shampoo or fabric softener. All those sorts of simple ideas they’re all in the book. 34:45 Then in the food chapter the recipes are more around feasting because I think while everybody fights about what the best way to eat are we’re forgetting that one of the biggest happiness and success predictors for life is eating at a table where there is love, with people you love. And so I created these feast recipes and these really lovely care package recipes. If someone’s had a baby or someone’s feeling sick for a long time or just to remind people that while we can make all these fantastic swaps if we’re not doing it and enjoying food with people we love then yeah, it’s not gonna have the fullest impact. 35:27 Then in the mind chapter right at the end I really talk about simple ways to slow down, how meditation can look for different people. I love that Nigella said, Nigella Lawson said her form of meditation was risotto. And she made risotto a couple of times a week and just the stirring and the stock, and the stirring and the stock. It doesn’t need to be this, “I am a guru on a mountain and I have to feel like I can achieve at being still for three hours.” I’m a big fan of meeting people where they’re at and helping them realize this is about us cultivating our own journeys rather than me telling you exactly what to do. 36:11 It’s packed with ideas and checklists and simple ways we can improve things and how you then go and do that is entirely up to you. 36:42 No, no. I live in urban area myself. I don’t have any plans to change that soon. Luckily, I have both parents in the country so I get my fix of beautiful fresh air very often, but I do live coastally to ensure that I get fresh air off the sea as opposed to inland, which was a personal decision that I’ve made. 37:07 Then from there I live a pretty modern lifestyle, I do. I really do. I don’t think we need to all join a hippy commune to do better by people and planet, and I make that very clear, but I’ve had this is what I find really interesting. You give people the tools and you tell them, “You have permission to do this however it sits right with you,” and so what you get I this beautiful surprises and stories that come back. Someone just the other month introduced me at my book talk and she was the one who asked her local bookshop to bring me down there to talk because she had been so inspired by my course right before the book came out, and had gone on this tiny home building journey. She just wanted to reduce her footprint, and really that part of the whole thing spoke to her really deeply and her and her husband have now become tiny home builders, and then the next person just changes up all their body products and personal care and cleaning products and starts to think about the way they buy furniture from now on but everything else stays the same. 38:23 Both of those people are right. Both of those people are fine, and the thing is we need the change and the more try to tell people there’s only one exact way to do it, the less people will actually make the changes at planet and our health so desperately requires. 38:40 Excellent. I just love the empowerment from it. I heard a term once that said you can’t unlearn what you learn, you can choose to ignore it. And for me personally, podcasting for five years and running the company for a decade now, I’ve learnt so much that I can decode life. When I’m outside and if I go into a café I can decode the menu in seconds and I can make the best choice for me best. Best for me. 39:06 And then when I make purchases in terms of personal care products all of the above, I can make the best choices for me knowing that my primary goal is to strengthen my immune system to feel as good as I can, at all times, to be as happy as I can, but it’s empowering that we can access this information. I think for everybody out there yeah, open the book, navigate, find the bits that resonates with you and then apply to your life as you see fit. 39:35 Absolutely yeah. And it’s gonna be in a different order for different people as well. 39:39 Excellent. With the book, and I’m getting so much information in there, if you had to pull out three top tips and again, I apologize for this in advance. I apologize in advance. If I’m coming to you and saying, “Alexx just give me three tips that you think can make the biggest impact on my life right now in terms of overall health?” What might they be? 40:10 Okay. I’m gonna say one that I didn’t even talk about today which is mold. 40:26 Yeah it’s a big topic, absolutely. 40:26 It’s huge. I’ll send you my whole mold story post, which is an 8,000 word post on everything that happened to me over an eight year period, but if you have water damage in your place and if you have in conjunction with that water damage, and by that I mean you might not see the mold but you might smell a bit of mustiness, you might see that your lather goes really moldy really easily, those kind of things, and you can juxtapose a personal chronic illness story along that or chronic symptoms that you just cannot shake and your lifestyle is meticulous and you’re happy cherry person and you’ve done all the work, then please look into the state of your home because that’s a huge one. 41:14 The second one is really doing that stock take on synthetic fragrances in your home space because also the air you breath and a huge one. You really wanna try that challenge and I’d always welcome people letting me know how they go with that online or popping us an email, and then the third one is really check your head. I’ve seen a lot of people very stressed out on 100% organic diets. And as Joe Dispenza says, “You cannot digest and be stressed at the same time. You certainly can’t do well.” And he said, “Buy all your organic stuff, but if you’re stressed out to the nines you’re eating organic stress.” One of my favorite take homes of his work and one of his lectures that I’ve watched over the years and I really think it is so important that we actively schedule joy and slow down time in our weeks. So look at that diary in this next week, do you have something that is gonna bring you great joy? For me it’s always either catching up with a friend or recording a podcast with someone super cool where I know the conversation is gonna be amazing or playing tennis. 42:33 Those three things are my … Obviously other than hugging my gorgeous little boy and family, that I get to do every day so gratefully. But really scheduling joy into my calendar where I’m gonna be big smiles and inflow I really make sure very consciously that both things are happening because if you feel run by your life then you become less and less empowered, less and less joyful, more and more of a catastrophiser and then more and more of a nitpicker on the things you can control, which is often making these micro changes in your food and your personal care and then we’re doing it wrong. Alexx: 43:09 We’ve got to apply joy and come from a place of joy in our lives. I’m a really massive believer in the importance of that. It’s not a practical do this one thing and swap it, so it’s a bit more conceptual but I think it’s a big one. 43:35 Don’t have to be your job. 43:36 Exactly right. And your mindset shifts, and your mindset is so powerful and is so connected to your biology that we can enforce biological changes that wouldn’t be there in the first place just by thinking these thoughts. So yeah, it’s really, really important to try and get on top of that side of things. Stu: 43:58 Good stuff. We’re just coming up on time and I just wanted to ask what’s next? What have you got in the pipeline? I know that there’s a program coming up, so I just wanted you to talk about that for our listeners. 44:10 Yeah, there is. Go-Low-Tox is something I run twice a year now. Used to be three times a year, but I really just want to get a good big group of people twice a year and kick some goals together, and so a lot of people say, “But now that I’ve got the book, like why would I do the course?” And just to give you a window into how vast this course has become since we launched in 2014. So five years ago now. 44:36 When the students get their end of course pdf with all the links and everything in there, it’s now 140,000 word document, and that doesn’t include food. It’s just body, home and mind. We have separate courses for various other things, and so the book is 62, 000 words. What we’re not able to do in a book is chat and discuss and have human interaction. What we’re not able to do in a book is recommend brands because this is launched all over the world, right? 45:15 You can’t tell people about a fantastic Aussie brand in Canada or vice versa. So it’s really become an incredible resource with country guides UK, US, New Zealand, Australia, and a couple of other mentions for Canada and France and a couple of other, Germany as well we’ve got some resources, so people come together from all over the world. 45:36 We’ve had over 49 countries represented in the course alumni now, which is crazy, and it’s just this beautiful shared human experience in the private Facebook group. Don’t panic if you’re not on Facebook. A lot of people just get an alias and join it just to be a part of the interaction, and we have live Q and A calls, and we have things that you just can’t do with a book alone. 45:59 And I really feel like it brings the book to life. So if you’ve maybe got the book and you want to move on to the next practical motivational aspect of change, then the course is perfect. I’m so proud of this course. It’s really just an amazing community, amazing alumni group. Continue to support each other. 46:21 My motivation as an educator is always to make things price accessible, so you can enter and do it for 99 Australian dollars, which is about like 80 bucks US or even less with our pitiful exchange rates these days. It’s not expensive to enter in and do it. Or you could get the lifetime for 199 Australian again. I really don’t want to write courses for a small group of really wealthy people. I want everybody to feel that they can have access to change, that is so important to me. It’s in my DNA accessibility, and an actual change and we’re not going to do that if 10 people spend a thousand bucks. 46:59 We’re going to do it if 300 people spend 100 bucks. And that’s really when we can see community change and like we’re already seeing it now. Some of the original Low Tox alumni, when I met everybody on the book tour, they’ve now started picking things up in the canteens and changing their school plastics use and now chatting to their local MPs and senators. It’s really quite amazing what you do a few years into making your own basic changes, how that lights up for people. I just get goosebumps every time I think about it. So if that sounds interesting to you, I’ll again send you all the details just so you can share it with your peeps. 47:40 Great. Fantastic. How can we get more of Alexx Stuart? Where should we go? 47:45 I’m everywhere. The easiest way to find me is at Low Tox life for everything. That’s what the Facebook page’s called, that’s what Instagram is called. It’s what the book is called, it’s what the website’s called, lowtoxlife.com. If you are hungry to learn, we have six, eight courses. Everything from raising kids who love real food, to working on inflammation, preconception, and low tox kids because we really want to look at home remedies and how to raise happy, healthy young kids and start them right. 48:17 If you’re not really into courses, we have over a 250 gluten free recipes, daily inspiration on Instagram. I tend to brain fat there the most and just share what I’m thinking that day with a little [inaudible 00:48:30] too. And yeah, I’d love to meet you guys. 48:33 Fantastic. Well, we will put all of the details that we’ve spoken about today in our conversation, in the show notes and spread it across all channels because you’re an absolute pioneer, and clearly living the dream, which is fantastic. To be able to touch so many people and make huge change like this is a massive achievement. So Alex, thank you so much for your time. Really appreciate it. 49:00 You’re so welcome. What a great chat. 49:00 I look forward to speaking to you in more detail in the future no doubt. 49:04 Me too. Have a great day. 49:06 Thank you. Bye. Bye.